The Solemate connects to your smartphone, MP3 player, tablet, laptop or anything that can play music using Bluetooth, a 3.5 mm audio cable or USB cable. Bluetooth 3.0 technology works up to 33 feet away. Connect it to your phone and you’ve got your own personal speakerphone. Or take your video chats to the next level by using Solemate with Skype™, Google™ Talk, and other video chat services. – Portable size with powerful sound — the go-anywhere Solemate features 3 front facing speakers (2 acoustic tweeters and 1 powerful subwoofer) and a proprietary passive bass radiator. – Well connected — Connect to your smartphone, MP3 player, tablet, laptop or anything that can play music using Bluetooth, a 3.5 mm audio cable or USB cable. Bluetooth 3.0 technology works up to 33 feet away, so you can DJ the party from across the room. – Speakerphone capability — lets you make and take calls from your computer, tablet or mobile phone. – Voice guidance — tells you how to pair your device, your connection status and more. 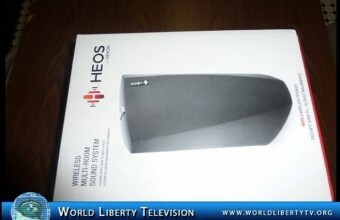 – Up to 8 hours of wireless music time— depending on volume level and audio content and up to 40 hours of standby time. – Exercise is about breaking free so don’t let wires hold you back. Skip tracks, control volume, take calls and switch FM radio with a quick tap of your headset. This is your ultimate choice for wireless headset when you want to bring your own music when training. – World class Bluetooth technology gives you crisp and clear audio so wherever your workout takes you, you’ll never miss a beat. – If you want to leave your music device at home, your favorite FM radio station is just a click away. Simply tune and store the stations you love and enjoy your workout. – This sports headset is designed to lock in so you can focus on your workout. A behind-the-ear shape and a choice of seven different ear-gels mean whatever the intensity of your workout. – Jabra Sport Wireless+ is rain and dust proof and shock resistant to a US Military standard so it’s built to withstand the most intensive workout conditions. 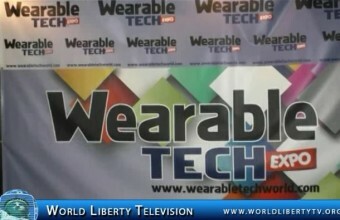 Wearable Tech Conference & Expo III, the leading wearable tech industry event held on July 23-24, 2014, was relocating to the Javits Convention Center in New York City, NY. Fitness and Sports Technology (FAST) Conference II, held on July 22, 2014, will also be moving to the Javits Convention Center. Both events provide attendees with case studies, demos and unique sessions that discover the current and future state of the billion dollar wearable tech market. FAST Expo delivers a focused, in-depth look into wearable, mobile and data technologies in the fitness and sports industries. From sensor technology to exploring the data captured by wearable devices and examining real-time player biometric and performance data, the event features discussions on critical aspects of the industry. The Wearable Tech Expo will explore a wide range of topics, including the benefits of augmented reality and some of the products associated with it; the role of Machine-to-Machine (M2M) in the wearable’s market; smart innovations for clothing and home; key insight for startups; and much more. Parent bloggers have become some of the most influential voices when it comes to promoting new brands and products. Over the past five to seven years, we’ve seen influential leaders emerge in this space, garnering thousands of followers and creating complete online communities. These women (and often men) are far beyond the basics of blogging, and Blogger Bash will provide them with the next tier of their professional development. With events, parties, round table forums, speed dating sessions with brand representatives, and, of course, lots of swag to enjoy and review, Blogger Bash will give bloggers everything they need to establish new connections with leading manufacturers. The conference kick-off on Thursday evening with Sweet Suite, where hundreds of bloggers from around the nation that played with new toys, indulge in sweet treats, and leave with tons of swag. 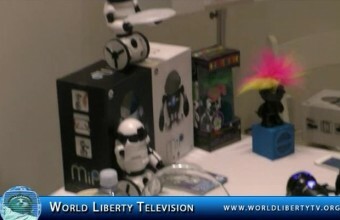 The Blogger Bash and Sweet Suite is the brain child of Laurie Schacht ,Chief Toy Officer (CTO) of Toy Book , Licensing Book and of The Adventure Publishing Group, based here in New York City. 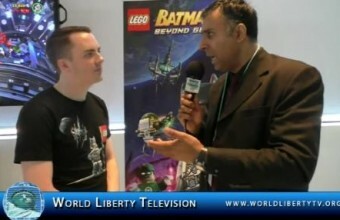 Wolrld Liberty TV,was on hand to interview Mr Sam Delaney Tt Games Producer of Lego Batman 3, Beyond Gotham,see what he had to say about the game in our World Liberty TV, Gaming Channel. Ideal for small to medium sized rooms, such as bedrooms, offices or kitchens. This compact but full-featured speaker plays cloud music, music stored on your phone or tablet, plus USB and NAS sources, too. It also features a carefully designed blend of two custom full-range drivers and a two-channel class D amplifier, all controlled with state-of-the-art digital signal processing that was born in the recording studio. – Dual Wide Range Drivers: Dual active wide range drivers cover the full audio range, assisted via advanced DSP processing for a smooth, natural tonal balance. – Auxiliary Analog Line Input: The 3.5 mm stereo analog auxiliary line input lets users connect a device with analog stereo output directly to the HEOS 3. The platform holds your tablet securely in place with special hooks. Extend and rotate the platform 360° for full use of your tablet. And, one of the best features is that the platform can be removed from the case quickly and easily for tabletop use. You’ll find pen holders inside the case behind the platform and also a great storage pocket on the outside of the case. Your keyboard can slide beneath a security strap within the case. There is also an additional kickstand on the outside of the case. – Rechargeable battery for iPhone and smartphones. – LED battery level indicator. – Supplies your devices with one additional charge. The most innovative wire organizer EVER! The newly improved design has the same great cord management functionality as before but now comes with a super easy to use zipper. Now you can easily slip this over your USB cable AND ear buds. Easily organize your cables and No More Tangles! 3 ft. / 97cm. come with one high-quality Apple iPhone Lightning Cable! The wireless Wi-Q embodies three decades of leadership in bass technology. No other subwoofer in this price range gives you so much for so little. The Wi-Q is affordable, powerful, and feature-rich. It can be quickly and easily integrated into any entertainment system without the use of messy cables. A simple push of “EQ” on the remote and the exclusive, built-in processor produces optimal bass in your room from any source. 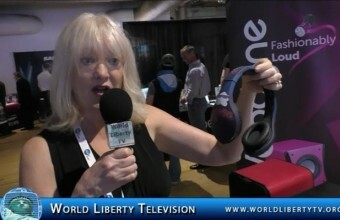 vFree® allows you to define yourself without limitations or boundaries and removes the constraints of wired headphones. vTrue® raises the bar for studio headphones, combining Velodyne’s legendary audio technology and unrivaled design to bring a true sound experience to the most discerning of music lovers. International artist, Marta Hall, created the signature style and shape of the vLeve. You can get the best in style with Velodyne’s accurate and true sound experience. The vLeve can be folded up for compact storage. It includes a carry pouch and a 4 foot, 3.5 mm audio cable. Velodyne Designer Skins are flexible, offer extra protection for your headphones and can be purchased separately . Our wireless headphones offer Bluetooth® connectivity compatible with your iPhone®, iPod Touch®, iPad® or any Bluetooth® capable device. Wireless sound reproduction is accurate and true thanks to aptX® coding. A direct connect audio cable is included for optional wired connection.